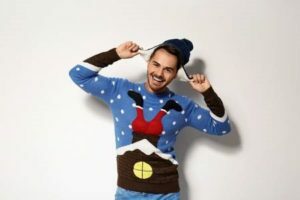 Who on earth started the ugly sweater craze? You have to admit, as obnoxious as the sweaters can be, it’s a guilty pleasure coming up with the worst one. The tackier the better! Did it begin with the 80’s sitcoms? Or once we hit 2000 and decided to be ironic? Or was it a way to connect to tradition and the memories we had as a child? Whichever answer you pick, the sweaters are here to stay. They’ve become Christmas tradition! 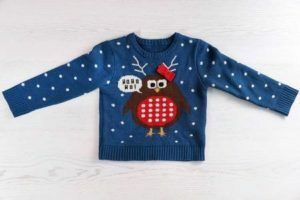 So what is an ugly sweater? Anything considered in bad taste or gaudy. Over the top. 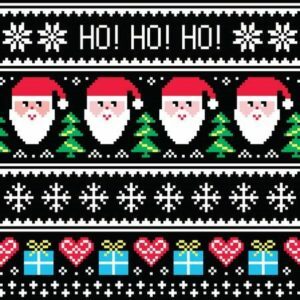 The more Christmas icons you can display on the sweater, the better. Even adding tinsel or candy canes works! 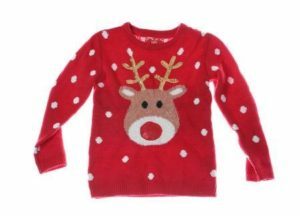 Let’s face it, if the sweater is outdated and garish, your chance of standing out in a crowd increases. No matter where they came from or who actually started the craze, you have to admit, it’s an awesome way to engage in conversation. And a good excuse to hold a holiday party. If you’re in the market for an ugly sweater, I’m sure your grandmother or great-aunt is happy to clean out her closet. Stroll through a thrift shop and you should be able to pick out a beauty for one of the holiday parties you’re invited to. 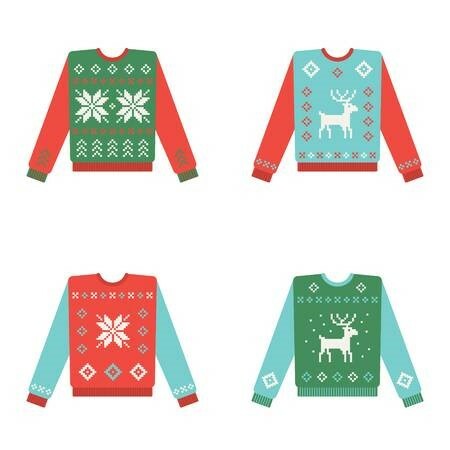 So what makes the ugly sweater so cool? The fact that we know they’re ugly and wear them anyway! 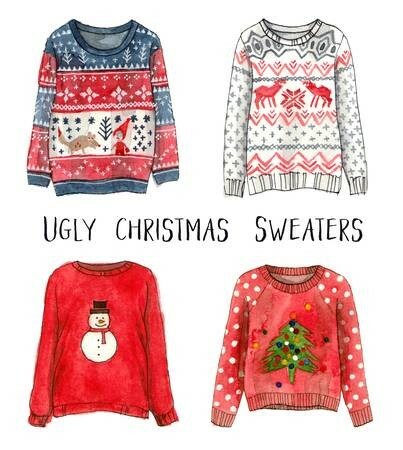 So proudly don your ugly sweater and enjoy the holidays!